Association Pacte. Fondée à Lausanne en 2002, Pacte est une Association professionnelle dynamique et créative qui a pour but de favoriser l'accès des femmes à des postes à responsabilités. The Career Women's Forum (CWF) is a not-for-profit association reuniting over 200 women of more than 20 different nationalities professionally active in all economic, political and social sectors of life. Geneva-based, the principal goal is to encourage women in professional life to further their professional development through the sharing and exchange of ideas and information through the Forum's extensive network. Instrumentenkasten der DFG. Mit dem Instrumentenkasten stellt die DFG ein besonderes Informationssystem über Maßnahmen zur Erhöhung der Chancengleichheit in der Wissenschaft zur Verfügung. The Swiss Conference of Gender Equality Delegates brings together federal, cantonal and communal equality offices. The Conference supports, coordinates, plans and implements activities of national scope, takes a hand in shaping public opinion and influences federal legislation with the aim of incorporating viewpoints specific to women and gender equality concerns in order to achieve a sustainable, coherent policy on equal opportunities. Fem Wiss; der Verein Feministische Wissenschaft Schweiz ist ein unabhängiger nationaler Akteur im Bereich Gleichstellungs- und Wissenschaftspolitik. 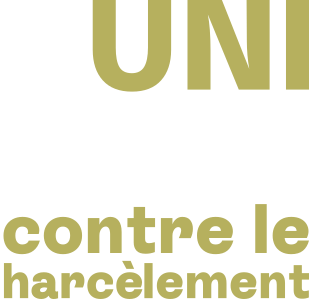 Le programme d’ateliers REGARD est issu de l’initiative des déléguées à l’égalité des universités de Suisse latine. Il propose des ateliers de formation continue en genre et en égalité ouverts aux femmes de la relève académique et aux professeur-e-s de ces institutions.